The World Wide Web (Web) is a major, if not a primary, source of information for many people. 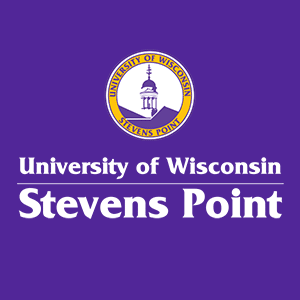 Acknowledging that the University of Wisconsin-Stevens Point (University) is engaged in web development and publishing for all its constituencies, this policy establishes minimum standards for web accessibility. Information made available electronically can be structured so that all individuals, regardless of disability, can access it via desktop or mobile web browsers, text-to-speech applications, mobile applications and a host of other technologies. Accessible design practices can ensure University documents are readable by all who need them. The University, along with UW System, endorses the Web Content Accessibility Guidelines (WCAG), Version 2.0, of the World Wide Web Consortium (W3C) as the standard for Web accessibility and compliance with the Americans with Disabilities Act. W3C is composed of over 400-member organization worldwide developing common protocols to promote the evolution of the Web and ensure its interoperability. As part of its work, the W3C has developed accessibility guidelines for the web. The standards of the Federal Rehabilitation Act Section 508 (Section 508) are consistent with the W3C Guidelines and provide achievable, well documented guidelines for implementation. All new or revised web pages and other web resources published, hosted or otherwise provided by the University must be in compliance with the web standards defined in the most recent version of Section 508. Additionally, it is strongly suggested that University web pages and resources strive to comply with the WCAG 2.0 AA standards for accessibility, or future versions that may replace those as web technology advances. Upon specific request, information on legacy web pages and resources, as well as those in archive status (e.g. no longer in use but subject to records retention plans) containing core administrative or academic information, official records, and similar information, are to be made accessible to any individual needing access to such content, by revision or otherwise. Legacy web pages and resources will be considered those that are published prior to September 1, 2015. The unit responsible for the information is responsible for providing that access as soon as possible. What constitutes a web page or other web resource is to be interpreted broadly. It does not depend upon the type of client or host device, the type of software on the client or host devices, or the technical means by which the client and host communicate over the Web. Web pages or resources specifically requested to be made accessible as part of a formal accommodation request shall be made accessible as soon as possible, or an equally effective alternative shall be provided. “Equally effective” means that it communicates the same information and provides, if possible, the equivalent functions in as timely a fashion as does the web page or resource. Campus developers shall implement accessible design practices when creating web applications. For web applications procured via a Request-for-Proposal (RFP) process, accessibility must be included among the preferred product features. For all Web applications, accessibility must be considered during the selection process. Vendors whose products are under consideration will be asked to provide Voluntary Product Accessibility Templates (VPATs). If a web application is not available in an accessible format, or if its purchase would constitute an undue burden, the reason for selecting an inaccessible product must be documented. For products procured through a RFP process, the selection of inaccessible products requires the approval of the Chief Information Officer (CIO) in consultation with the Disability and Assistive Technology Center (DATC) and/or the Center for Inclusive Teaching and Learning (CITL). All web pages or resources created or maintained by the University must contain a link to a contact where users having trouble accessing content can seek help. This would usually be the web developer or publisher. The addition of a link or contact person is not sufficient, in and of itself, to comply with the Information and Communication Technology Accessibility Policy. The CIO in consultation with the DATC and the CITL will oversee implementation, training, education, technical support, and the monitoring of compliance according to the standards and recommendations set forth in this policy. 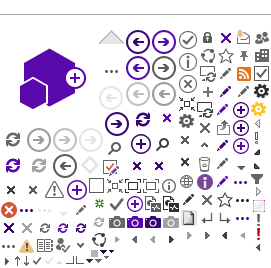 Although the DATC is not responsible for the enforcement, training or production of electronic accessible resources, the DATC will maintain a contact list of staff capable and willing to assist in the development of accessible materials so that developers may contact the DATC for referral information. The CITL will be responsible for the oversight of online accessibility of course and instructional material development. Each UWSP unit with a presence on the University Web, such as a department, division, organization, or program must be in compliance with accessibility standards according to the timelines established in this policy. Each unit is also responsible for insuring that adequate staff and financial resources are allocated to enable such compliance. Site authors are ultimately responsible for ensuring that their web content is current, correct, functional, and standards-compliant. This policy and its implementation will be reviewed beginning no later than September 30, 2020 and should be reviewed every 3 years thereafter. A committee shall be composed of no less than 6 members drawn from: the Information Technology Council, the faculty, The DATC, Continuing Education and Outreach, University Communications and Marketing, the CITL, the office of the University ADA Coordinator, Information Technology, and a student - preferably a person with a disability who is affected by this policy. The Information Technology Council shall be responsible for forming the review committee. The review shall be a public process, open to comments and suggestions from other persons or units on campus. Please direct questions about this policy to accessibility@uwsp.edu. All new webpages and other web resources must comply with our minimum accessibility guidelines. UWSP will try to make all other web materials published prior to September 1, 2015 (legacy materials) accessible by September 1, 2017. Upon specific request legacy materials will be made accessible to anyone needing that material as soon as possible by the unit responsible for that material, or an alternative will be supplied that communicates the same information. Web applications developed on campus will be created using accessible design practices. Purchased web applications will have accessibility among the preferred product features. If the web application is not accessible, or buying it would be an undue burden then the reason must be documented. All web pages will have a link to a contact where users having accessibility issues can seek help. Implementation, training, education, technical support and the monitoring of compliance will be overseen by Information Technology, but each unit and site author is ultimately responsible for making sure their web content is accessible.